It’s no secret top ranked sites on search engine results receive more web traffic but driving curious visitors to your home page requires planning and patience. If you aren’t satisfied with your current SEO results, it might be because you’ve underestimated the importance of a local link building campaign. Most link building strategies tend to focus almost exclusively on creating backlinks from other high ranked sites with a similar information or focus. While a topical approach certainly defines your niche and builds your authority, overlooking the importance of local links leaves your site under-marketed. Regardless of how you tend to think about your company, the fact is your business exists in a multifaceted market. Whether you realize it or not, geography plays its role too. The physical location of your company impacts your position in the market just as much as your authority as an expert in your industry. There is a tendency to think about web businesses as global, but customers still tend to search for services and products closer to where they live. Local links help search engines direct visitors to your site based on geographic parameters. This makes your site stand out as the expert in the local area and helps to generate better quality sales leads. A Local Blogger – Ask a writer or local journalist to reviews products or feature your business. Business Networking Groups – Get your company listed on your site on a meetup page. Directory Sites – Register your business with the Yellow Pages or Chamber of Commerce. Advertise Specials or Discounts – Offer special rates for community promote sales locally. Sponsorships – Support your local sports teams, performing artists, and special events. Local SEO link building is all about associating your site with a geographic area. Combine your web network with your in-person business networking activities. Ask your contacts to mention your company’s web address on their site or blog and offer to return the favor. Collecting high-quality backlinks is an artform. Be prepared to experiment and learn from mistakes. While there really is no standard solution, certain habits and tactics have been proven to produce results. Goals – Start by establishing your goals and time frame for your link building campaign. Research – Identify those companies and sites you would most like to receive links from. Prioritize – Use SEO assessment tools to determine which sites are the best fit for your plan. Strategize – Determine how to approach the most highly valued targets on your list. Negotiate – Offer something in exchange for the links you need. Review – Evaluate your performance of your link building campaign. Repeat – Cycle back through your list and steadily increase your collection of backlinks. 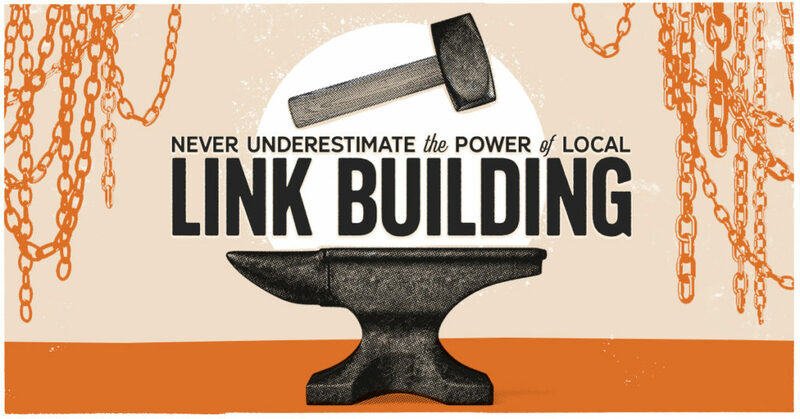 A local link building campaign is all about establishing the geographic location of your business. Avoid restricting your targeted link strategy to sites directly related to your business. It’s okay to network more with general business and information sites so long as they focus on the same community. Like with all things, SEO links are a lot of guesswork and trial and error. Depending on the size of your company or your budget, you may need some assistance building your collection of backlinks. At Clicks and Clients, we want to help. Schedule your discovery call and find out how we manage your link building campaign for you to get the most out your website.